The article below originally ran on this site on June 20, 2015 – just before Patrick Sharp was traded to Dallas. While the 2017-18 season hasn’t gone as well as anyone would have hoped – or imagined – the impact Sharp has had on the Blackhawks remains undeniable. Saturday will be the final game of his career; his parents were at the United Center on Friday night for the home regular season finale. It’s worth another moment to remember how great Sharpie has been in Chicago. On Dec. 5, 2005, a trade was consummated that didn’t make much of a dent on the NHL radar. The story goes on to quote then-Flyers GM Bob Clarke on the deal. Buried by Ken Hitchcock, Sharp was unceremoniously dumped by the center-heavy Flyers in an effort to bring in a wing that, in the eyes of the Philly media and front office, had a chance to make a more immediate impact. Ellison would go on to play seven more games in his NHL career. Sharp would lead the resurrection of the Chicago Blackhawks. And I do mean it when I use the word “lead.” Sharp joined a 2005-06 Blackhawks roster that was highlighted by the Arnason-Bell-Calder line, and featured talented players including Rene Bourque and Radim Vrbata. Three players on that 2005-06 Hawks team surpassed the 40-point plateau. That’s 40 points… not goals or assists. Points. In a full, 82-game NHL season. Calder’s 59 points led the team, as did his 26 goals. Only two Blackhawks players (Calder and Bell) reached the 20-goal benchmark that season as well. Sharp, then just 23, scored nine goals and added 14 assists in 50 games to begin his Hawks career. And lots of people wondered who the kid was wearing Tony Amonte’s number. Chicago owned the third overall pick in the 2006 NHL Draft, and used it on a center. Sharp was supposedly expendable because Philadelphia had too many centers, so the refrain must have felt all too familiar in his second NHL city. But this kid, was headed back to North Dakota for at least one more season, so Sharp wouldn’t have to compete for ice time with Jonathan Toews quite yet. The other big news in the summer of 2006 was Hawks GM Dale Tallon somehow getting a decent free agent to consider Chicago. Marty Havlat joined the team and helped elevate the offense with Sharp. They scored 25 and 20 goals, respectively, in a 2006-07 season that saw Trent Yawney get the axe and Hall of Famer Denis Savard called upon to coach the team he once led. But the Hawks were still bottom dwellers, and as such would make the first overall pick in the NHL Draft for the first time in team history during the summer of 2007. That pick, a curly haired kid from Buffalo who also happened to be named Patrick, would come straight to Chicago and bring the previous summer’s top pick with him. Kane and Toews joined Sharp for the 2007-08 season, and the renaissance began. Sharp led the team that year with 36 goals and they somehow, miraculously, won 40 games. More wheeling and dealing during that season added names like Ladd and Eager, and other homegrown youngsters like a 22-year-old Brent Seabrook and 24-year-old Duncan Keith were starting to come into their own. Two years after 59 points led the team, Kane (72) and Sharp (62) led a suddenly interesting Blackhawks team. Four players reached the 20-goal plateau that season, and eight – including three defensemen – had at least 30 points. The 2008-09 season brought another change behind the bench, as Savard gave way to Joel Quenneville. Sharp was limited to 61 games but still scored 26 goals and the Blackhawks did the unthinkable: they qualified for the playoffs. And not only did they get into the postseason party, but the Hawks ran all the way to the Western Conference Final – where they ran into a powerhouse defending champion from Detroit which had a superstar named Marian Hossa. The Wings were – as always – too much for the baby-faced Blackhawks, but the first playoff run in a decade put a no-longer-vacant United Center on display. Of course the following season was one for the history books, and the following five seasons have been historic as the Blackhawks have become an in-progress dynasty. And one of the few constants, from the blowout losses in front of 5,000 fans to the three Stanley Cup parades, has been Sharp. Unfortunately, the NHL’s salary cap has not risen as quickly as the talent in the Blackhawks organization, and Sharp will be the highest profile cap casualty to date. Sharp finished the 2014-15 season with 511 points as a member of the Blackhawks, which currently ranks 15th in the history of the franchise. His 239 regular season goals rank 11th, only four behind Pit Martin to qualify for the organization’s all-time top ten. Sharp’s 38 game-winning goals are eighth in team history and his 16 short-handed goals rank sixth in the history of the Chicago Blackhawks. When he arrived, postseason production from any Hawks player was only a dream. But with Sharp in the core, this team has surpassed any of our wildest hopes for the franchise. Sharpie will leave tied with Doug Wilson for seventh in team history with 80 postseason points. His 42 playoff goals are sixth in team history, and his five postseason game-winning goals in the Indian head are as many as Bobby or Dennis Hull, Jim Pappin and Darryl Sutter produced here. He won three Stanley Cups here, and was named an All-Star Game MVP. He also won a gold medal for Canada. The Blackhawks – and their fans – have failed when sending away iconic players in the history of the franchise like Steve Larmer, Doug Wilson and Jeremy Roenick. In 2010, many of the players who departed were still young and developing into the NHL stars some of them have become today. And after 2013, the exodus was much smaller. Now, we have an opportunity to act appropriately as one of the best leaves us. In the future, fans will ask “who is this Amonte guy wearing Sharpie’s number?” And, someday, someone else will probably receive the number. 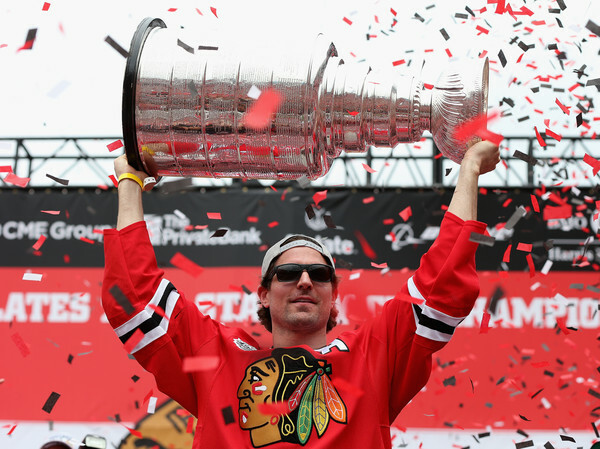 But what we cannot forget is that Patrick Sharp is one of the finest to ever represent the Chicago Blackhawks. Great piece Tab thank you very much. It’s been an amazing run having been through the good and bad Hawks through the years this group has given us so much. 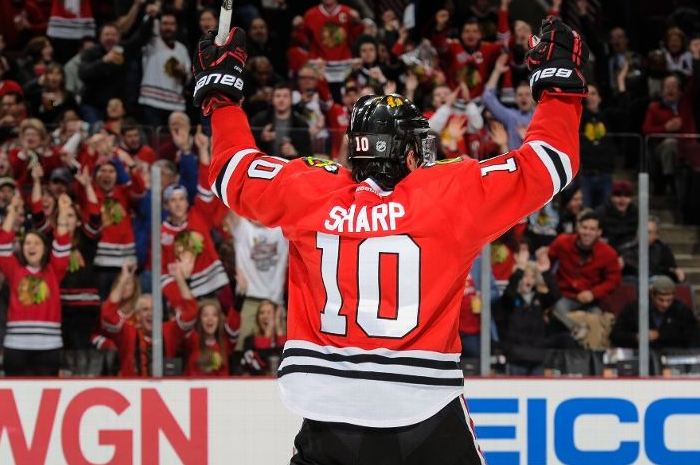 Sharp was a great Hawk and hopefully they have a spot for him in the organization going forward. The first time I heard of Sharp, he was a member of the Philadelphia Phantoms. Philadelphia was winning the Calder Cup over the Wolves, and Sharp played quite a role in a sweep. 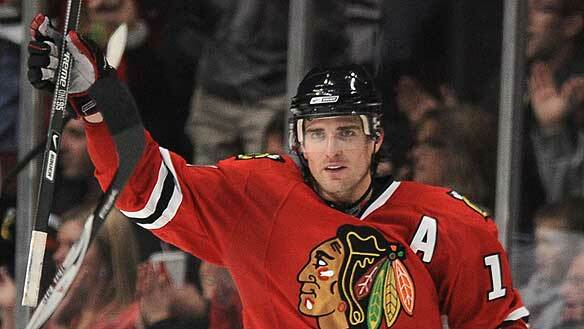 Thanks Sharpie, you have been, and always will be, a great Blackhawk. End of an amazing era! Thanks “Sharpie”, “Hoss”- 2 of the 6 core guys that haves us 3 unforgettable cups!! Consider THIS season as point ZERO- the rebuild to 3 more cups! The DeBrincat, Hayden, Hillman, Sikura, Highmore etc. era!! Like Jedi Masters- Kane, Toews, Keith and Seabrook must transfer the “force” to the next generation of Cup chasers! Not sure how Yoda Bowman fits in but rebuilding everything behind the blue line is Job #1! Enjoy the summer boys- We hope your NOT getting another long one like this anytime soon!! That was a great read. You hit the nail on the head with all of it. I had season tickets 2005-2008 and can I remember that, as soon as he arrived, Sharp was immediately the one exciting player that was worth watching, at first. He was fast, deft, and had an edge to him. He was a great Hawk and a great teammate. And, let’s not forget, he helped bring the female bandwagon back to the United Center. I hope he sticks around and takes a role that suits him. Hell, let him be an assistant and run the power play next year. They can’t do any worse. Nice article, i’m sure he would have liked his last game in United Center to have been under different circumstances. Great run proud to have watched it. Thank You. That was solid read. Took me back. I do hope his number will be retired. I felt very sad to see him wave goodbye. It became even more upsetting as news broke out that the town Humboldt (an hour away from here) had their junior hockey league team bus hit by a semi killing up to 14 people. My condolences to those families. Logi that’s horrible news about the Humboldt team. Prayers go out to the families. We had a bantam team here that lost 4 players in a head on a number of years ago and i lost a son who drowned with 2 of his friends in a boating accident 10 years ago this month. Tragedies like last night are devastating to the families and to the whole communities as well. Very nice Tab. We were lucky to have him and it’s sad to see him hang up his skates. I’m happy he’s retiring a Blackhawk – very appropriate. I think it was Foley who said something about a statue at the UC, that rather than have individual statues they should have a statue of the core group of 7 players who won the 3 Cups – Kane, Toews, Hossa, Sharp, Keith, Seabrook and Hjalmarsson. I think that is a great idea and hope it happens. I hated when Sharp left the first time, and I hate it now. I understand the individual situations in both cases but it’s tough to say goodbye. I thought that Sharp’s effort this season was always excellent. Some may disagree but I don’t care. I saw those bursts of speed, I saw some great passing to set up opportunities for other guys, I saw going to tough areas ….. 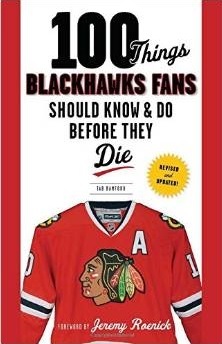 In addition to the tributes described from last night’s game, one needs only to read what has been stated publicly these last couple of days by Keith, Kane, Toews and others about what Sharp has meant and still means to the franchise and to the players personally. I hope only the best for him and hope that remains part of the organization. really the catalyst for culture change in the organization. Much more than just a pretty face. Cheers, Patrick. Forever a Hawk. So emotional yesterday from The Stosh tribute to Sharpy’s last lap. I’m a mess this morning. Thanks to all of you guys here for the great conversations/observations/opinions. Looking forward to next season with 50 & 19 back healthy; 88 and the kids. Tab, great post. Agree with Big Indian that Sharpie always gave great effort this season. With better line-mates, would have had more points. He has lost a couple of steps, as expected with age. My best memory of Sharp will always be the 20105 playoff 2OT game against Anaheim, where he did amazing work with the puck around the net and then passed to Vermette who scored the winner. If the Hawks lost that game, there would be no cup that year. Hope Patrick gets a point in his last game tonight. Beautiful write up Tab. Thank you for rekindling the memories. Hope they retire his number along with the other 6 core guys EB mentioned and totally agree on the statues for that core but hope Crow gets one too. Thanks Sharpie. Thanks Hoss. Thanks Hjarm. Won’t ever be the same without you guys. On to the next Core soon. Schmaltz, Debrincat, Sikura leading the offense with the D still TBD. Hoping for a huge rebound from Saad and that Edjsell can exceed expectations amd join the core guys as the other 3 will need some size to get them some space to do their magic. Hayden may yet prove he can be a regular Top 6 too. I think he has good enough hands, hockey sense, and scoring ability to develop into a solid 2nd line winger who can play center too when needed, be a top penalty killer and a short handed threat and be a physical leader. There’s a lot of potential there. Hoping he puts it all together soon. A great Blackhawk. 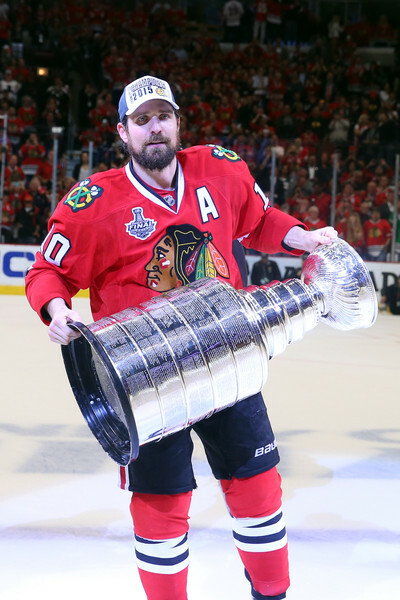 He deserves the highest praise for helping usher in and maintain the Golden Age of Hockey in Chicago.. Thank you #10! Sharp a great player and important part of the Hawks emergence for Cup title years. Congrats on a great career Sharpie!